Police believe the potential active shooter situation at Cleveland Clinic - Medina Hospital was a hoax. The all-clear was given around 3:30 p.m.
MEDINA, Ohio — Police believe the potential active shooter situation at Cleveland Clinic-Medina Hospital was a hoax. 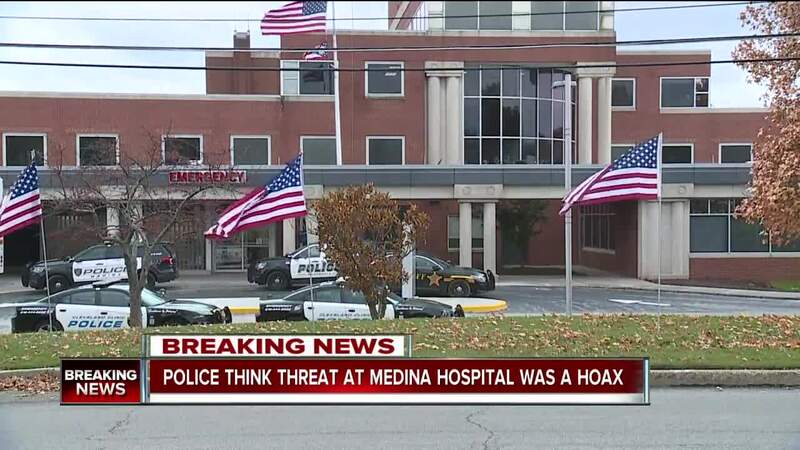 The all-clear was given around 3:30 p.m.
Medina police chief Edward Kinney said they got a call at 1:30 p.m. that there was a woman with a gun in a medical building next to the hospital. Police secured the hospital and searched the facility floor-by-floor. Kinney said they believe it was a hoax and they are trying to find the person responsible. He said the individual will face arrest and prosecution. They had 150 law enforcement officers at the scene. Police asked that the public avoid the hospital until police gave the all clear. Several viewers shared a "Code Silver" alert that appears to have been sent to hospital staff indicating that there was an active shooter situation. "Take immediate action to protect yourselves and others," the alert stated.